It truly is a winter wonderland here in Alaska more so than anywhere I have ever been. The snow sparkles in the low light, the ice fog plants crystals everywhere, the arctic temperatures give the air a real crisp snap to it. On a mid afternoon with no wind the silence is golden and views are incredible. 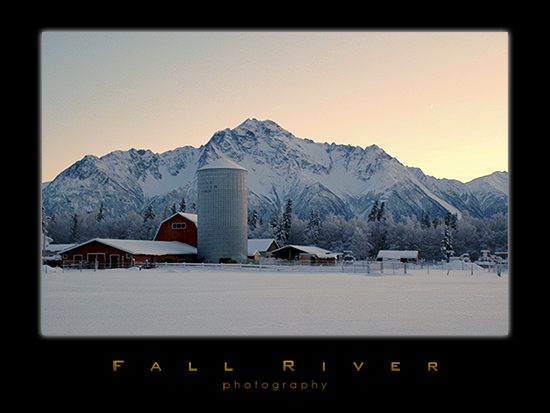 This entry was posted on Friday, January 15th, 2010 at 2:45 pm	and is filed under Landscape and tagged with Alaska, fine art photography, Pioneer Peark Alaska. You can follow any responses to this entry through the RSS 2.0 feed.